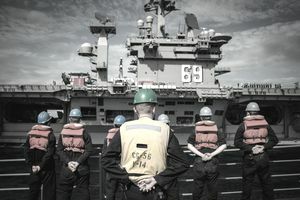 An official evaluation of physical health, ability, and endurance—known as the Navy Physical Fitness Assessment—is conducted twice a year throughout each service member’s Navy career. The first test is conducted during the in-processing of the military either at Recruit Training (Boot Camp) or Officer Training. Once you join the military, meeting the established fitness and health requirements is now part of your job and active duty members will receive the PFA / PRT twice a year. Although the specific numbers will vary depending on age (and gender), soldiers are expected to stay in shape in order to pass the physical fitness tests without difficulty. Specifically, the PFA consists of a standard medical screening, a Body Composition Assessment (BCA) and the Physical Readiness Test (PRT) of pushups, situps, and a 1.5-mile run or a 500-meter swim. The U.S. Navy conducts its Navy Physical Fitness Assessment (PFA) twice a year for each service member. No matter your age or rank, you will have to take part in the bi-annual PFA program. Swim 500 meters: During basic training swimming is not an option. All recruits or midshipmen who are attending their basic training are measured by performing push-ups, curl-ups (sit-ups) and running 1.5 miles. For subsequent fitness evaluations, the sailor may choose either the 1.5-mile run or the 500-meter swim.